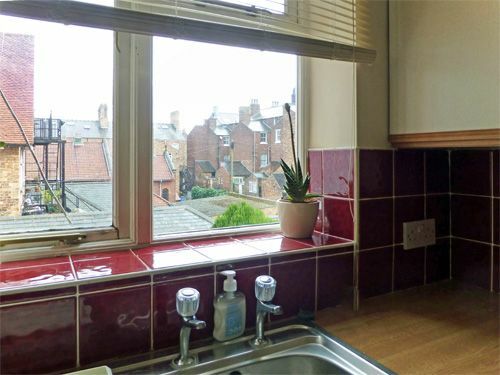 Pleasant clean flat. 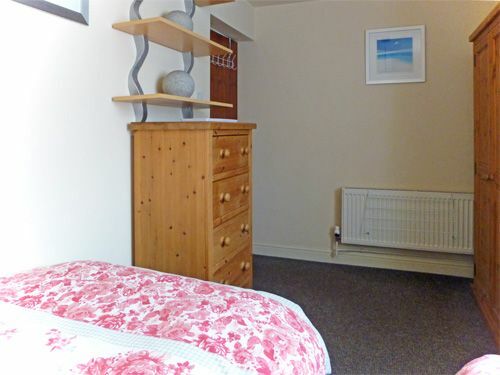 Nice clean comfortable flat. Not posh but has everything needed. 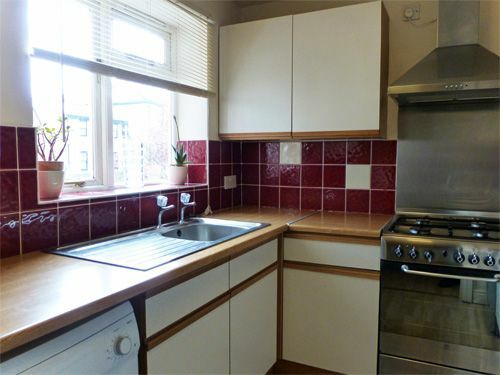 Good kitchen and two nice bedrooms. Central heating is very quick so flat is soon very cosy if you come in on a cold evening. We had a great week. Perfect for a bargain break for a couple or family ... you can even bring your pet for free. 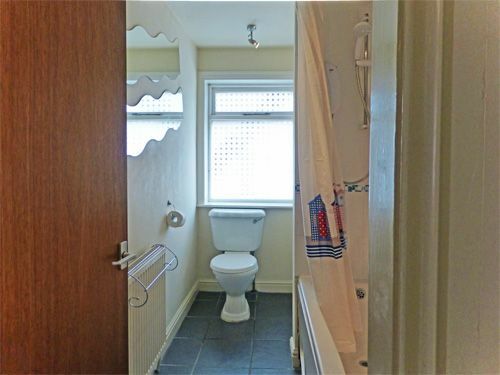 You enter from Avenue Victoria into a pleasant communal hallway. 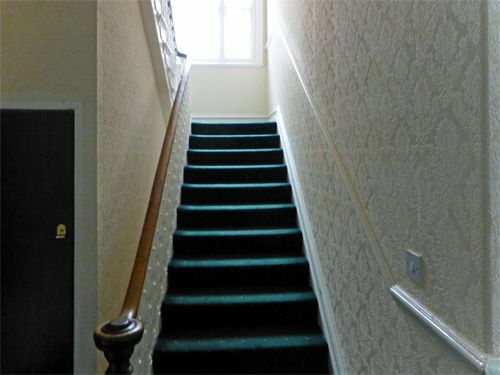 The apartment is reached via wide, carpeted stairs and has its own entrance hallway on the 1st floor. 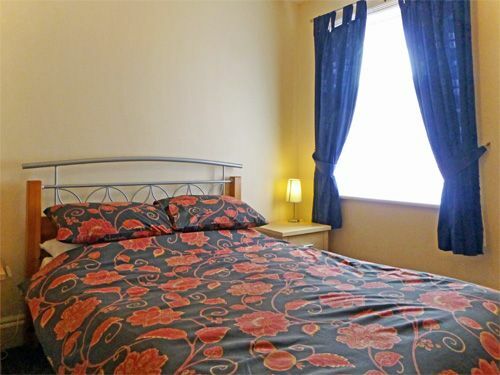 The accommodation is all on one level and consists of a lounge, kitchen and bathroom. 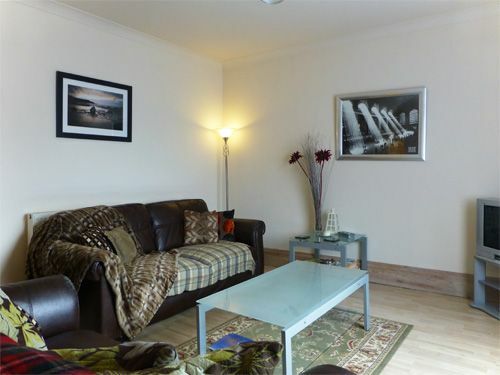 The lounge is south-facing and great for relaxing with comfy seating, wide-screen TV with Freeview, DVD, radio and CD. 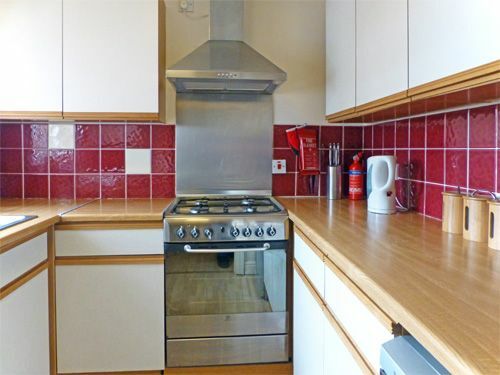 The kitchen is well-equipped with all the usual conveniences including a fridge-freezer and a washing machine. A door opens from the kitchen onto a fire escape. 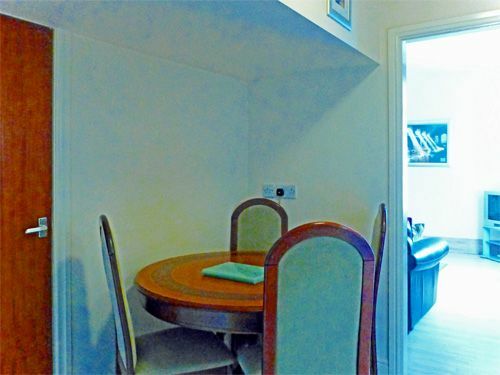 A small dining area is located between the lounge and kitchen. 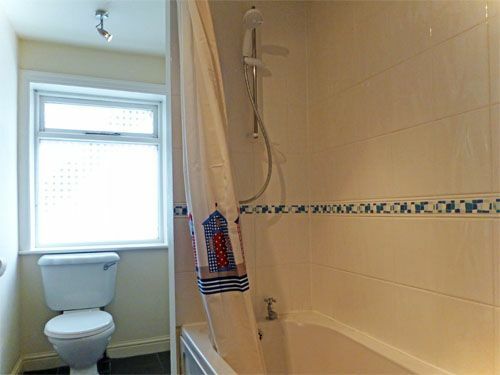 The bathroom has a bath, WC, washbasin and electric shower over the bath. 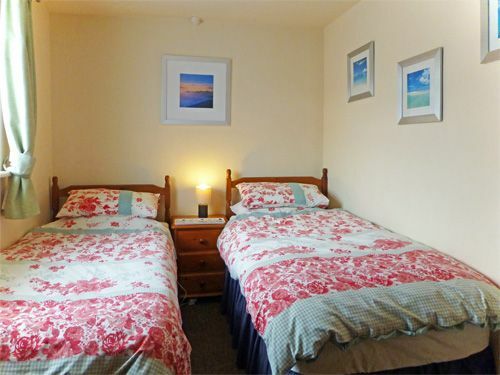 There are 2 good-sized bedrooms. The master bedroom has a double bed, wardrobe, drawers and TV/DVD, and the second bedroom has twin beds, bedside cabinets and drawers. 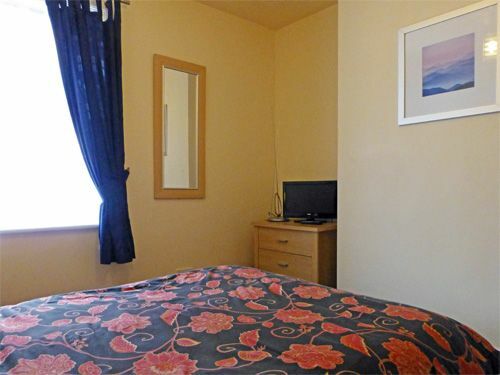 Bed linen, heating, hot water & off-street parking space are all included. Free WiFi available on request on arrival. One small well-behaved pet is welcome free-of-charge. Your own off-street private parking space is conveniently located adjacent to the property. 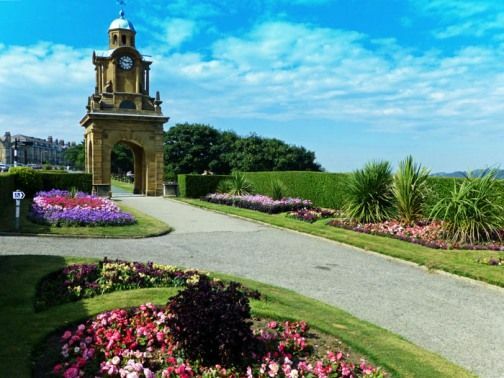 The South Cliff occupies an area south of the town centre, between the Esplanade and the suburb of Ramshill. 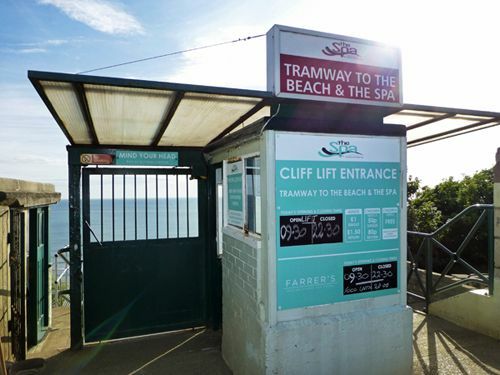 Flat 4 is a few minutes walk from the Esplanade and Cliff Lift which takes you to the South Bay beach and Spa Theatre. 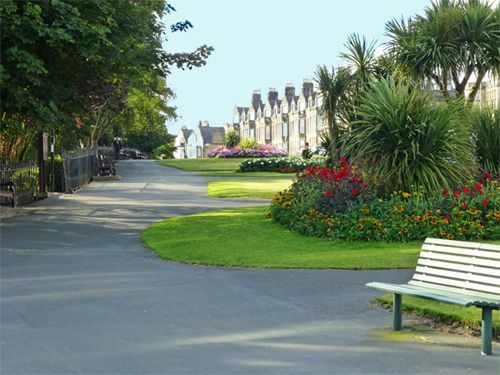 Alternatively you can walk through enchanting woodlands and gardens down to the beach. You're only a 5-minute drive... or a 15-minute walk from Scarborough Town Centre. 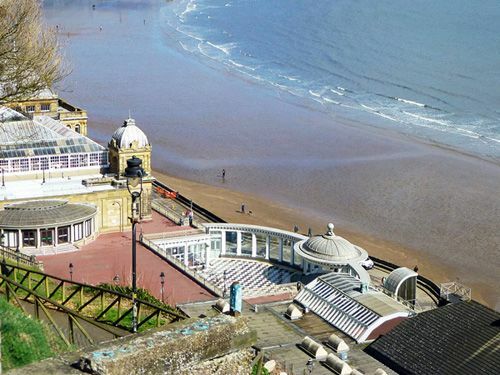 There's an excellent choice of high-quality bars and restaurants for an evening out on the South Cliff. 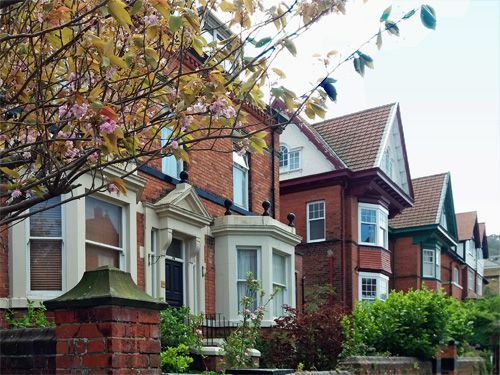 If you prefer to bring a meal in, you'll find well-stocked grocers and a choice of take-aways at nearby Ramshill. 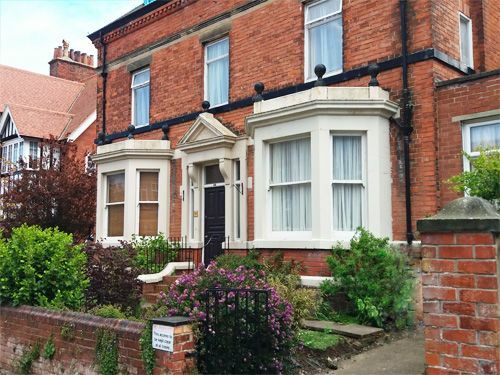 Looking for further accommodation nearby? Flat 4 is next door to Avenue View Apartment (Flat 3), and upstairs from Cockleshell Apartment and The Bungalow. LOW OCCUPANCY DISCOUNT OFF-PEAK applies when only 1 bedroom is used. 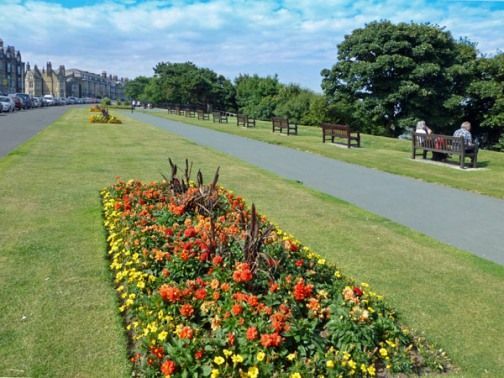 A great location for visiting Scarborough for shopping and for some good walking close by, also for those who like a good walk with great views, you are only a short walk from Oliver's Mount which offers great views over Scarborough and beyond. Another pleasant stay. This is the 3rd time we have stayed in this flat. All facilities were as always in good condition, plus the parking space is an advantage as the can get busy. Also close to amenities. Great flat. 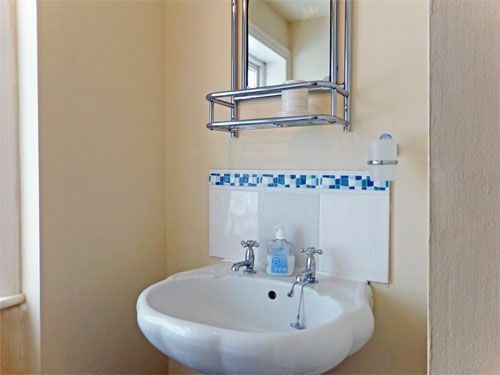 Nice clean convenient comfortable flat. Very handy for The Spa and South Bay. Mandy the owner is very nice and very helpful.